Brad Sachs, Ph.D. is a psychologist and educator specializing in clinical work with children, adolescents, couples, and families. He is the Founder and Director of The Father Center, a program designed to meet the needs of new, expectant, and experienced fathers. Sachs is a highly engaging and sought-after speaker whose lectures and appearances consistently receive outstanding reviews and who motivates and inspires audiences across the globe with his wisdom, warmth, compassion, and humor. He is the author of several books, including The Good Enough Child: How to Have an Imperfect Family and Be Perfectly Satisfied, which was named as an Editor’s Choice by Amazon.com and became its best-selling parenting title that year. It was featured on NBC’s Today Show and was excerpted in Family Circle. 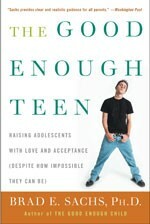 Sachs is also the author of The Good Enough Teen: Raising Adolescents With Love And Acceptance (Despite How Impossible They Can Be), In The Desperate Kingdom Of Love: Poems 2001-2004, Things Just Haven’t Been the Same: Making the Transition From Marriage to Parenthood, which was named one of the Top Five Books for New Parents by Child magazine, Blind Date: Poems Of Expectant Fatherhood, and When No One Understands: Letters to a Teenager on Life, Loss, and the Hard Road to Adulthood. 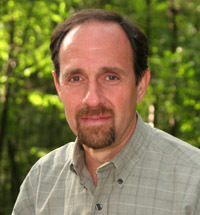 Sachs writes articles on family life for magazines such as Redbook, Parenting, Parents, Child, and American Baby, and is renowned for his creative and innovative treatment of children and families and for his professional workshops and seminars. He has been interviewed on over 300 radio and television shows, including the Today Show, 20/20, The Montel Williams Show, The Sally Jesse Raphael Show, and The Diane Rehm Show. He is also a composer and performer, most recently releasing Hard Tales to Tell, a cycle of 16 original songs based on the stories his patients have told him. Other recording projects include Opening Day: Songs Of Expectant Fatherhood, Love So Hard: Songs Of Marriage, and the soundtrack for the NPR series on minor league baseball, Appalachian Almanac. Sachs is a graduate of Brown University where he met his wife, Dr. Karen Meckler, a psychiatrist and medical acupuncturist, and together they raise their three children and two dogs in Columbia, Maryland.